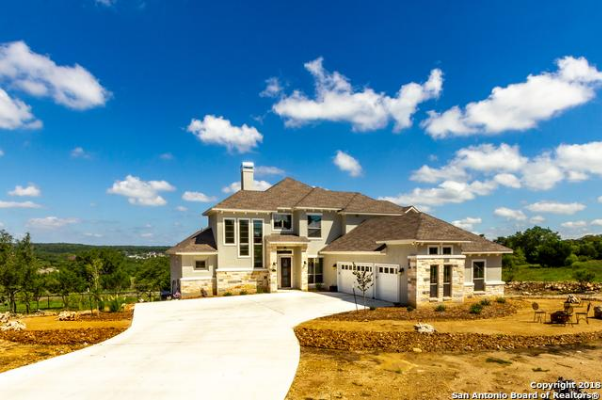 Over the past several years, the Texas Hill Country has seen a ton of ongoing growth. Land has been purchased, houses are going up, and new neighbors are showing their faces at the local diner. This begs the question: where are these people coming from, and how are they affording to build luxurious homes on these expansive properties? One of the biggest answers seems to be: high-brow retirees. For many career executives and big business owners from other major Texas cities, the suburbs aren’t quite cutting it. After the work day is over, they dream of sprawling ranches and the rustic elegance of Hill Country homes. Many career businesspeople spend plenty of days behind the desk in a daydream about what “life after work” will be like (if it ever arrives). And even if it isn’t time to collect that retirement money yet, major American cities are seeing a trend towards getting out of the city to live somewhere a little more peaceful. The fact is undeniable: there are many things “city folk” have to worry about that never cross the mind of a country dweller. For instance, parking and traffic can be a real pain in the city...but in the Hill Country ample parking is just about everywhere you go, and those rolling hills are free and clear of traffic. One of the biggest reasons company big-wigs and executive families move out to our neck of the woods is the peaceful atmosphere: in particular, we feel less pressure to perform or compete. In Dallas or Houston, the city skyline in the rearview mirror reminds you that you are part of a system. But in the Hill Country, all you see is natural beauty. When you drive around in the Hill Country, you will see sprawling trees, big blue skies, and not much else. This environment gives the people a “slow and steady” pace to life. If the city was a hare, the hill country is the tortoise: we’re all getting to that finish line, but we Hill Country folk tend to move a lot slower and enjoy life as it goes on. Hardworking business people in the city don’t have a lot of time throughout the week where they can be alone with their thoughts. Most of them have families, and when they aren’t at the office, they’re running around to soccer games and ballet recitals. Living in the city (or even in the suburbs) means cookie-cutter houses and neighbors’ front doors that are only a stone’s throw away. Getting a house in the Texas Hill Country means privacy like you wouldn’t believe. Some people like to build their home far from the road with a long and winding driveway, while others have so much land that the nearest neighbor is a mile down the road. This sort of solitude, especially with the outdoor-centered lifestyle of the area, provides essential time for self-care, thoughtfulness, and an overall positive view towards life and what is important. What was important in the city will no longer be important in the country. There will be many days when you pull up to the house in the Hill Country and can feel a weight lift. Homes out here have a way of feeling, well, homey. After a long day of work, walk into the backyard, take a look at the rolling hills, and smile knowing that barbecue may be on the menu that night. With fewer people in the area, residents have the opportunity to get to know each other better. Instead of having dozens of acquaintances, you can hone in on a handful of friendships very deeply. Enjoy lifelong memories like cooking out, watching the big game, or having some dessert and wine while chatting on the porch. The city life may be good in its time, but there are many items on the “pro” side of getting out while you can. In the next decade, I believe we will be seeing more big-city folks coming in and becoming our new neighbors. While at first this may seem invasive to us locals, it should be noted that just about everyone who moves out to the Hill Country wants the same things: to experience solitude, to invest in the local culture in a positive way, and to finally spread out after years of feeling constrained. Let’s share our little bit of paradise.